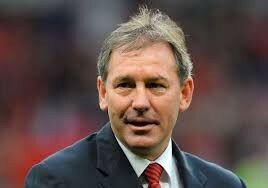 Bryan Robson AKA Captain Marvel is best known for playing in Midfield for England, Manchester United and Middlesbrough. Captaining his country an amazing 65 times and playing in 3 World Cups, Robbos career is one many ordinary players could only dream of. A total of 661 career appearances for club & country and an incredible 141 goals made Bryan one of the best players of his generation. As well as being an outstanding player he also went on to manage Middlesbrough, where he led them to 2 top flight promotions and the clubs first ever cup finals. He also managed Bradford City, Sheffield United, West Bromwich Albion and Thailand. With one of the UK’s best MC’s Mark Jones conducting the evening this will be a night that will deliver laughs, fantastic stories and an opportunity to meet one of Football’s all-time greats. VIP Tickets £35 – Include early entry, meet & greet with a photograph with Robbo that will be printed on the night.